Monmouth County Property Division Lawyer, Attorney | Law Office of Andrew A. Bestafka, Esq. Choosing how to divide property between spouses in a divorce can be difficult in even the most amicable separations. However, in more contentious divorces, this problem can become considerably magnified. For many couples, most of the property they own was purchased during the marriage, making it property held in common by the couple. The assistance of a qualified legal professional can help to resolve these disputes. Andrew Bestafka has built a reputation as a fierce advocate for those he represents, and he and his team are prepared to help you fight for the equitable property distribution you deserve. Mr. Bestafka has been practicing family law for nearly a decade, and his extensive experience has helped him build a practice solely dedicated to helping families in need. He has the knowledge, skills, and dedication necessary to help you in your time of need. Don’t trust your case to an inexperienced or apathetic lawyer who doesn’t know or understand the complex legal challenges you face. If you are going through a divorce or are considering divorce from your spouse, let us handle the legal issues while you focus on what’s truly important during this difficult time: taking care of yourself and your family. Contact a Monmouth County property division attorney at Law Office of Andrew A. Bestafka, Esq. 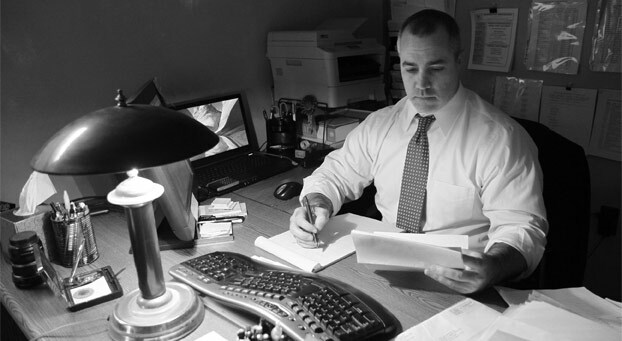 today at (732) 898-2378 to discuss the details of your situation with an experienced legal professional. 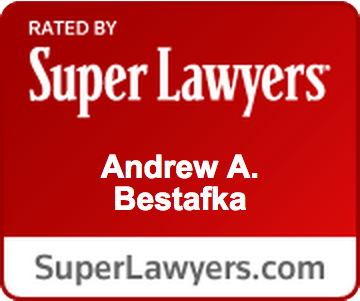 Why Choose Law Office of Andrew A. Bestafka, Esq.? At Law Office of Andrew A. Bestafka, Esq., we will stand by your side during this difficult time and will do everything in our power to get you the help you need. We have a strong track record of doing just that. 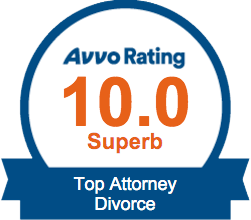 In 2015, Mr. Bestafka was recognized as one of the “10 Best Attorneys and Firms for Client Satisfaction”, has been elected as a New Jersey SuperLawyer, has a 10.0 Superb Avvo Rating as a Top Divorce Attorney, and maintains a perfect 5.0-star review on Google. Whether you need help with your divorce or you know someone who does, Law Office of Andrew A. Bestafka, Esq. is here to help. Choosing how to divide property between spouses in a divorce can be difficult in even the most amicable separations. The assistance of a qualified legal professional can help to resolve these disputes. We will do whatever it takes to help you through this challenging time. Don’t delay – give us a call today at (732) 898-2378. Your future is too important to be left in someone else’s hands. Division of Assets – Every asset acquired from the date of marriage to the filing of the Divorce Complaint is subject to equitable distribution. This means that there is a fair assumption that can be made that each person helped in a financial or non-financial way to help acquire income and property while they were married. However, it is important to point out that any property owned by either of the spouses prior to marriage is immune from division, and thus continues to be held by the spouse that originally possessed it. Additionally, New Jersey statutory authority expressly states that when one of the spouses acquires property by “gift, devise, or intestate succession,” it is also not subject to division, regardless of whether it was acquired during the marriage or not. Consequently, an inheritance may be protected from division during divorce. Division of Debts – Generally, any debts that are acquired during a marriage are the responsibility of both spouses in the event of a divorce. Creditors can go after you if your spouse spends money on a credit card and defaults on payment if the purchases were made during the marriage. Even if the line of credit is not in your name, creditors may still be able to hold you accountable for charges made by your spouse! Furthermore, because separation agreements and divorce orders are not effective against creditors, the best practice is to liquidate assets to pay off joint debts and refinance any remaining debts in the name of the spouse who will be responsible for payment. At Law Office of Andrew A. Bestafka, Esq., we understand you may be worried about the property division process. We know you are concerned about your financial future. We are here to help. Protect your assets today by contacting our experienced New Jersey property division attorneys to schedule your initial consultation. We know that for many people, this is the first time they have dealt with legal issues like divorce and the separation of assets. That’s why we’ve provided the answers to some frequently asked questions, in the hopes that it will help you better understand your rights according to New Jersey Law. What are the factors that a court uses to determine the equitable distribution of the marital assets? The earning capacity of each spouse, which often includes education, special training and skills, how long a partner was absent from the job market, and other factors that may affect their ability to become “self-supporting” at the standard of living that they have come to expect. These factors (and others) are often considered by the court during a divorce and can weigh heavily on the amount of support that one spouse may receive. What are some examples of assets commonly distributed in a divorce? By consulting with an attorney, you can discuss what assets need to be distributed fairly and evenly between you and your former spouse, and you may be able to discuss what you may be able to retain. What are some examples of debts commonly distributed in a divorce? Loans to relatives or friends. It is critical to have an attorney on your side when you are considering the distribution of debts in any divorce proceeding to make sure that you are only assigned what is fair and required of you. Whether you need assistance formalizing a property division agreement or you need legal representation to ensure that you receive the division you deserve, we can help. Our aggressive legal team is ready to help you with any property division questions and concerns you may have. We have had great success in meeting our clients’ needs, and we are ready to go to work for you. You are not alone. As illustrated above, the law regarding property division during a divorce can be quite complicated in New Jersey – involving many intricate statutes and rules. If you or a loved one is currently considering divorce, it is typically best to seek the advice of an experienced divorce attorney. A skilled attorney will not only be well versed as to any applicable laws but can help explain how these laws may affect you. 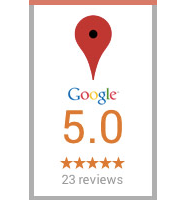 Contact a Monmouth County property division lawyer of Law Office of Andrew A. Bestafka, Esq. at (732) 898-2378 today to learn more about your rights and options under the law.